Want it by Wednesday 24th April? Order within 3 hours, 26 minutes and choose Next Working Day - Kerbside Delivery (Order Must be Placed by 2pm) at checkout. 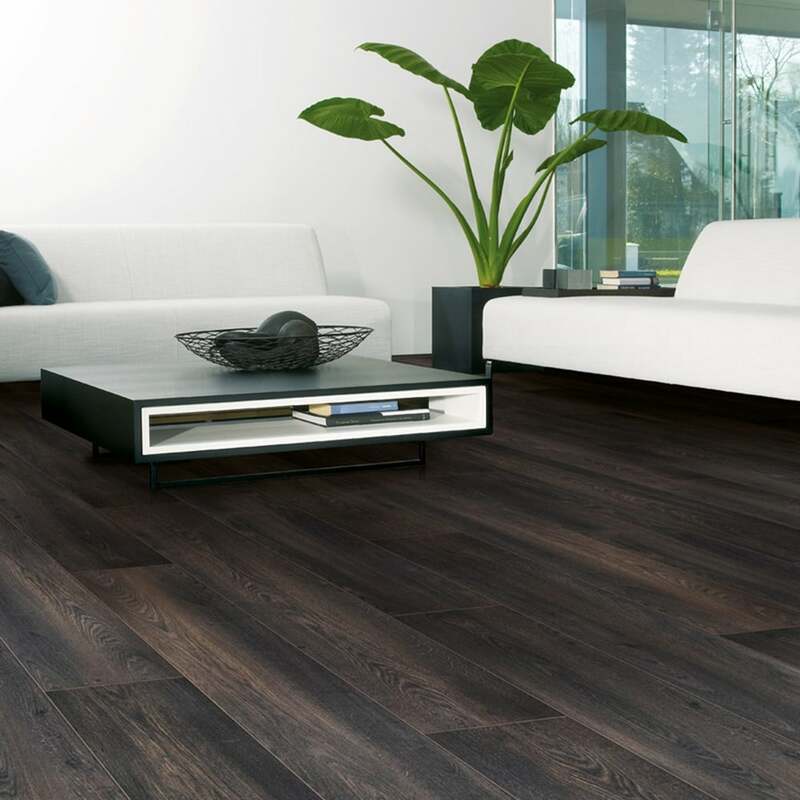 Our Balterio Renaissance Blackfired Oak 8mm Laminate is a beautifully unique flooring option that could give your home an aesthetic edge over your neighbours! A pure black floor is not for everyone, this floor however incorporates the darker tone with the natural appearance of fired oak. This is a very luxurious looking floor, and its resplendence is obvious from the get go. As if the appearance of this floor isn't enough, it's also rated AC4 and made from HDF core, so it's incredibly durable and hard lasting, so it will more than stand up to everyday wear and tear. To accentuate the natural appearance, these boards have been milled with a bevelled edge, giving the impression of individually laid solid wood planks. Even though these boards are 244mm wide, the colouring of them will stop over emphasis of a smaller space and aid with the overall flow of the room. To style around this floor you only need to focus on one thing - colour splashes. Any furniture will sit handsomely on this floor, but if you fail to add colour splashes to the room, you can run the risk of having a room that is drained by the floor - a few simple fuchsia's, teals or sunny yellows will lift the room and make for a beautiful finished project. See for yourself by ordering a FREE SAMPLE today! Very good quality, great colour and texture. Excellent to install/fit.